As we approach the witching hour it is timely to revisit the stories of ghostly goings on in licensed premises. Earlier in the summer, I wrote a post on the curiosity that is the number of supposedly haunted pubs around the country. A few days later I received a copy of a new book on Haunted London Pubs published by The History Press. The book brings me no closer to understanding why so many pubs seem to have a ghostly presence and I remain firmly of the opinion that it is all made up to drum up trade over the years. However, this book does focus on London and covers in some detail almost a hundred of our pubs and their spooky past. The ghostly connection is covered for each pub from the old favourites such as the guardsman at The Grenadier in Belgravia and highwaymen at the Spaniards Inn, Hampstead to less well known visiting spectres at the Roebuck, Richmond Hill and The Market Porter in Borough. All-in-all a rattling if slightly un-nerving read and an addition to my knowledge of London's fine pubs. It is always good to find a book on pubs that is written from a historian's perspective rather than the usual beer and pub experts. A slightly different view to our favourite hobby is always welcome. The book is well illustrated with black and white photos and although (as seems common these days) the cover price of £9.99 seems a bit steep for such a thin volume, the book is available at Amazon for a more reasonable £6.49. You know I am always delighted to share any snippets of genius that come my way. Here is Old Speckled Hen fan and musician Jonathan Vincent's take on Beethoven's Ode to Joy on his very special musical instrument. Jonathan was invited by Greene King to make the video after he sent them some amateur footage of his bottle blowing skills. In his words "the creation and tuning of the ‘instrument’ was particularly enjoyable, mainly because it involved drinking the excess beer with friends!” Marvellous stuff. This week sees a clash of events in my part of London - though luckily both are held over a number of days affording a visit to both. The first beer festival held at Le Gothique in Wandsworth earlier in the year was such a success that a second one is planned for this week - More details can be found not on Le Gothique web-site which still shows the spring fest but on The Beer Viking blogsite - who are one of the sponsors. The list of 75 mainly dark beers for your enjoyment here. If anyone is hunting the Adnams seasonal, Belgian Abbey Ale, it should be available here together with some other highlights such as Sarah Hughes Dark Ruby, Robinson's Old Tom and the legendary Downton Chocolate Orange Delight. Free pre-booked tickets are available here but selling out fast. If I am not spotted at Le Gothique, I will be in Kingston at The Willoughby Arms Halloween Festival where the highlight is undoubtedly a rare appearance of Fullers Gales Prize Old Ale in cask. This is the first version of this famous beer that has been brewed by Fullers in Chiswick - all previous versions being brewed at Gales Brewery in Horndene, Hampshire. It will be very interesting to see if the Fullers team have matched the famous tartness which came along as an infection from the old wooden fermenters in the ancient brewery but will be difficult to reproduce in the stainless steel conical fermenters used at Chiswick. There was once talk of blending a small amount of the infected beer with a new beer to impart a little of that tartness. I am very keen to taste it. Although my CV says that I am a Chartered Accountant, I am neither authorised nor trained to provide investment advice to others. As such anything I may say to others about investing in Brewdog or indeed any other brewery shares is my own personal opinion and in most cases anecdotal. I think it is a brave move to go to the beer geek community and ask for £2.3 million in return for a c10% stake in the business. They have already taken on board some "Dragon" investors who took a 12.5% stake for c£600k in June. This latest round of fund raising values the business (effectively the Brewdog brand) at close to a staggering £25 million. Personally speaking, I really hope they pull it off. This is an exciting time for them and to ask their loyal customers to climb aboard is innovative. The business currently relies on the founders who must be in it for the long haul; hopefully the dragons from USA feel the same. They all feel they are building a brand that has enormous potential. If last night's drinks party to celebrate the share issue is anything to go by, the target investor is young, affluent, upwardly mobile and loves beer. Me ? Only the latter, but I am on board with one share at £230. I am keen to go along for the ride but have only invested the minimum with money I can afford to lose. I like the beer and the people and feel it is worthy of support. I have a similar holding in Hop Back and Twickenham for the same reason but I lost £500 or so by investing in Cains just before it went into prepack administration. This will be the single most exciting, audacious and revolutionary thing BrewDog has ever done. In 1946, George Orwell described a hypothetical favourite pub that he called The Moon Under Water. Read it here. I am about to do the same, less eloquently but you'll get the message. For arguments sake, let's call the pub The Old Poets' Corner. What am I looking for in a great pub ? Unlike Orwell's, Moon Under Water, The Old Poets' Corner does exist. It is situated in the village of Ashover, Derbyshire on the edge of the Peak District. I cannot praise this pub highly enough. A real find and an absolute credit to Kim and Jackie Beresford, the owners who work their socks off to make sure the customer is satisfied. Seek them out if you are in the area. Sometimes the greatest pleasure in life is one that comes unexpected. Such was my experience last week when I dropped in on a local pub that I had not visited since Christmas. Given that I am the local CAMRA rep for my nearest 15 or so pubs it is inexcusable to overlook those that are not on the tried and tested real ale radar. The setting of The Sun Inn in Barnes is perfect, nestled alongside Barnes Pond, in what is often described as a charming village-like atmosphere. Their real ale, in my experience, has never matched the beauty of the location. However, in the cause of research, it is important to keep the faith and I wandered in while dropping my London Drinker magazines to the award winning Fuller's and Young's pubs nearby. The pub was full, as is usual, and on the bar alongside some of the more common beers was a strange pumpclip. On closer inspection, it appeared to be a new seasonal beer from Adnams - their take on a German Kolsh. The beer was a delight. Gold in colour, it has a light floral aroma, is a 4.2% beer, served cool not chilled, with a lovely lemony hop flavour that faded quickly to a short floral aftertaste. Just what I needed after a more fruity ESB. I will also be dropping into the Sun Inn more frequently. An unexpected pleasure on two counts - research well done. Decided to get out of the smoke for a few days this week by telling Mrs W that we were going to spend a few days in the Peak District. Little did she know that my cunning plan included spending Monday at a seminar on Barley Wine organised by the Guild of Beer Writers and hosted by Thornbridge Brewery - a match made in heaven. Some 50 beer writers and brewers pitched up at Thornbridge Hall such was the pull of barley wine for an afternoon of speakers and tastings. First up to speak was Mark Dorber who gave a talk on the style of various strong beers; followed by John Keeling from Fullers to share the history of Golden Pride and Fullers Vintage and the merits of using a parti-gyle brewing method. Next came Steve Wellington of White Shield Brewery to give the history of barley wine from a Burton perspective and lastly an American viewpoint by Steve Grossman from Sierra Nevada Brewery. A short break here for a cheese and beer tasting. Woodforde's Headcracker matched with a Cheddar, Fullers Golden Pride together with mature Stilton and Thornbridge Alliance with a Somerset Brie; perfectly illustrating that beer (particularly strong beer) is a far better match with cheese that the more populist "cheese and wine". Back to the classroom and we were entertained by wise old beer sage, Barrie Pepper; the micro brewers perspective from Steve Gibbs at Durham Brewery; Jeff Rosenmeyer of Lovibonds Brewery then gave the story of his fabulous Wheat Wine, a barley wine in a wheat beer style (of which more another day), and finally Peter Brown with his views on how to sell the stuff. This was followed by some tucker and an unrivalled selection of beers to taste including a Fullers Vintage from 1999 to show how such strong beers are able to mature once bottled, a Sierra Nevada Bigfoot that had been highly hopped (never ?) and matured in whisky cask, and the Lovibonds Gold Reserve, the Wheat Wine loaded with honey and on draught, (CAMRA activists look away now) and served chilled with a CO2 dispense. The bus taking most of the delegates back to Sheffield station left at 7.15pm at which point I wandered off down the pitch black, tree lined lane to feel my way back to my hotel a mile or so away. A great day ! 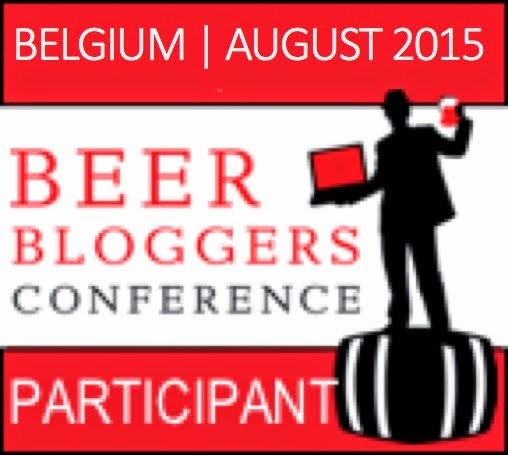 Hopefully the legacy of the seminar will be more barley wine produced by brewers large and small. There were certainly some enthusiastic brewers there on the day and hopefully enough writers will follow it up to demonstrate that barley wine is no longer a drink for the old ladies to drink while their hubbies take a pint of mild. It is a beer style that can accommodate different drinking occasions, matches with good food and is very approachable in small volumes - a single serve nip or a 70cl bottle made for sharing - before, after or during a meal, or just a quiet contemplative warming glassful at the end of a long day. The last post suggested that although it has a lower retail price than other beers, cask ale creates a unique value chain that increases turnover and profit for pubs that sell it. English hops are enjoying a renaissance thanks to new varieties, greater demand for 'hoppy' ales and the incredible growth in micro breweries. Sheila Dillon enjoys some of the heady aromas and samples some new ales. She visits Shepherd Neame, a brewery in Faversham, Kent and talks to head brewer, David Holmes, She visits farm owner Tony Redsell, whose family has been growing hops for over 50 years, and meets hop driers Derek Elvey and Peter Shead. Sheila also talks to Dr Peter Darby about The National Hop Collection at Queen Court Farm, near Faversham. In the studio, she is joined in the studio by Roger Protz, beer writer and editor of The Good Beer Guide, and Martin Dickie, brewer and co-owner of Brewdog Brewery, Fraserburgh. Last night, I went to the launch of the latest Cask Ale Report which has now been rechristened The Cask Report and is again written by leading beer writer, Pete Brown, on behalf of the major players in the sector, Cask Marque, CAMRA, IFBB, SIBA, Adnams, Caledonian, Fuller's, Greene King, Marston's and Wells & Youngs. It is the cask ale brewers that are showing most innovation in promotion and sponsorship - both Wells & Youngs and Greene King "inventing" new handpulls and both Marstons and Fullers showing commitment to sports sponsorship - with England's victory over the Aussies considered to be worth a million extra pints of Pedigree this summer. Cask ale drinkers are about 15% more likely than other customers to eat a meal in their chosen pub. Pubs with Cask Marque accreditation are much less likely to be a casualty of closure that others. Cask Ale Week (29 March to 5 April) is likely to provide a sales uplift of over 25% on cask ale for those pubs taking part in that week. Despite a lower wholesale price than other beers, cask ale brings increased turnover and profit for pubs that sell it. 62% of cask ale drinkers agree with the comment "it's worth paying more for" compared to 42% of other drinkers. 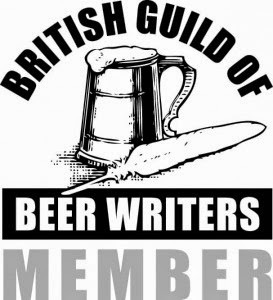 The national press are gradually recognising that cask ale is popular among their readers and although slow to move away from wine, once they see the light they will provide significantly better publicity for the category. Finally, I think it is encouraging that CAMRA remains at this influential table. It would be easy for the major players to drift away from consumer input and forge their own furrow as in previous business cycles. The fact that the voice of the real ale drinker continues to be influential is a credit to CAMRA's Chief Executive, Mike Benner and long may it continue. The fact that Julian Grocock, Chief Executive of SIBA is also on the committee is further proof of the influence that the growth in micro breweries is having on the sector and a clear illustration that the most efficient way to promote real ale is as a single voice encompassing all opinions. The latest news from Sambrook's Brewery is that sales of Wandle Ale continue to grow both in terms of the number of pubs taking the beer and the amount of beer each pub is selling. A new fermenting vessel will be installed in the next two or three weeks and while most of the increased capacity will go to fulfilling more orders for Wandle, there will be capacity for a second beer at the beginning of November to coincide with CAMRA's London Pubs Week. This, as yet un-named beer, will be a 4.5% best bitter. Any inspiration for a name will be gratefully received. There is a newly appointed young brewer in situ, Andrew Dickson, who trained at Heriott Watt brewing school and has since furthered his training at Archers, Wadworths, Fullers and Oxfordshire Ales. To declare my interest, I am CAMRA's Brewery Liaison Officer for Sambrook's Brewery. The latest Cask Ale Report is launched today confirming cask ale's renaissance. Catch up with the detailed press release or download the actual report at www.caskalereport.co.uk. One evening last week, I was invited along to the Marks and Spencer mother ship to taste their latest range of beers which has been expanded recently and should be in the stores now. Their beer range had been close to non-existent until a couple of years ago when thay launched a range of own label regional beers - all bottle conditioned and all giving details of the brewers that they were sourced from. That has proved so successful that they have now expanded their range of real ale and added a number of other beers to the list - there are now 22 beers and 6 ciders available on the shelves of the top 120 stores, with about two thirds of the range available in the next 200 largest stores. The highlights in my opinion were the Cornish IPA, brewed by St Austell, bottle conditioned, a 5% fruity, hoppy beer with a delightful citrus aroma that gives an anticipation that is matched by a full flavour and more delicate light hop bitterness. One of the winners from the existing range. 500ml for £2.19. The seasonal Christmas Ale, brewed by Cropton, comes in at 6.2% and is a classic Christmas spiced ale, fused with extracts of cinnamon, nutmeg, clove and star anise. Some will find the spice slightly overpowering but I thought it was delicious - a real reminder that the festive season will be here soon. 500ml for £2.19. Of the non real ales we started with a Spanish Lager and an Italian Lager, which "did what they said on the tin". I was disappointed with them but who am I to comment - many people will love the clean, unchallenging taste of these. The Belgian Lager and the Bavarian Winterfest were much more to my liking; both being very tasty, full in flavour and clearly brewed with passion and care by experts. All 500ml for £1.99. Among the speciality beers was a Belgian Triple Abbey Beer, brewed by Huyghe Brewery, famous for their Delerium Tremens beer. A classic triple style, lovely frothy white head, golden in colour, good hoppy bitterness cutting through the 9.2% strength balanced with some more developed banana esters and apricot and peppery notes. 300ml for £1.99. My final favourite was the London Porter brewed by Meantime, similar to their own Porter but slightly weaker (5.2%) and alas not bottle conditioned. Non-pasteurised though so still a fresh tasting beer with a lovely malty character and chocolate, leather and earthy notes. Brewed with 6 malts. 500ml for £1.99. One minor disappointment was the suggestions for food matching. Now I am the last person to comment regarding food and beer - preferring the beer itself and thinking that any food will go with it but I think that M&S customers do not need to be told that Spanish Lager goes well with tapas, Italian Lager with pizza, Irish Stout with soda bread and stew, Cheshire Chocolate Porter with chocolate pudding, Scottish Ale with haggis.......You get the idea. If you are going to comment on food matching, please take it seriously, give it a focus, give it considered opinion, don't be lazy - the discerning M&S customer deserves better. All in all though the range is excellent and shows a commitment to own label beer that is now unrivalled on the supermarket scene and for that M&S deserves much praise. Cheers.